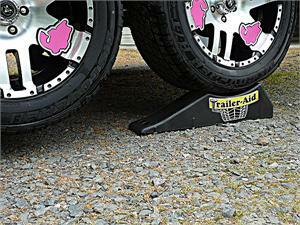 Trailer-Aid is the fast, safe and easy way to change a trailer's flat tire. 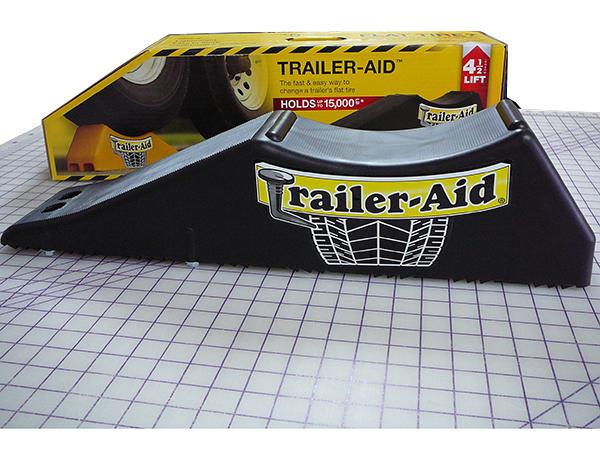 Raising your tandem trailer is as easy as backing up or pulling forward onto the Trailer-Aid. Made from lightweight super strong polymer, Trailer-Aid is easy to travel with and makes changing your trailer tire simple, even if you're alone. Stores under or behind the seat of your vehicle. Works for most tandem trailers.